(Note due to the age of these reports, not all links may still be up and available. We have the news like no one else!! out on video February 26th!! 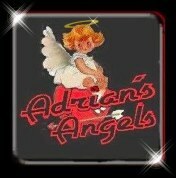 All of us at Adrian's Angels want to wish all of you a very happy Holiday season. May it be safe, prosperous and filled with peace and joy. hurry on over and do it now! More new pics from Captain Drake can be found at APnet. Get your FREE December calendar now!! The winning design is by India this month. Happy Holidays and we hope you enjoy it. It's that time of year once again!! 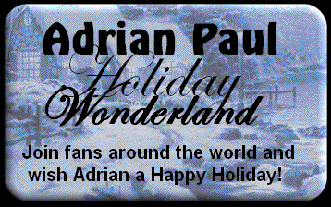 Adrian's Angels is sponsoring a page for ALL FANS, around the World to send Adrian their own Holiday Wishes. This year we call our card "Waling in an Adrian Wonderland" and if you're a fan, it's all a wonderland anyway, right? Please join us and sign the Guest Book and tell Adrian your thoughts for him to have a wonderful, special Holiday season. New pic of Adrian in Captain Drake!! Don't forget, we try to put up a photo page for each of Adrian's recent movies. 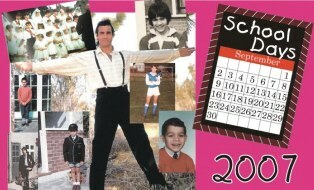 You can find those pages by checking out the Adrian Paul Filmography Page and click on the special AA photo page links. Some new ones from Captain Drake are up now too! Adrian's E-bay auction starts Wednesday, November 21st-25th with lots of personal stuff up for bid! Here is your chance to get some fun memorabilia. Bidding opens at 7am PST on 11/21...so get those $$ ready! According to reports, filming is set to begin on November 19th in Budapest and Adrian begins filming December 10th. This project has been shelved for a while, and we hope that it comes to fruition this time. The official site is low oin info, but you can get a good synopsis. Finally available!! 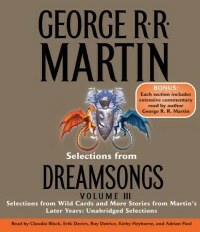 You can order the "DreamSongs" books online at various sellers.. Amazon, etc. But, we have loaded a clip of Adrian reading one of the excepts especially for you! Check out Adrian's TV, Commercial page where we have a new AUDIO section! Just announced!!! 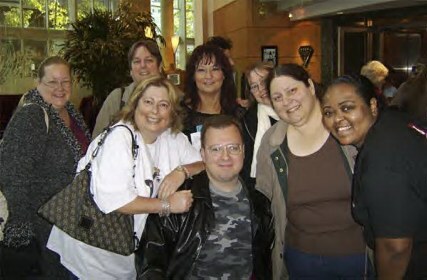 It's been 4 long years since Adrian's Angels held a "Gathering of Friends." If you missed your chance to participate in past Adrian's Angels sponsored web page cards to Adrian...keep watching this page!! Our next effort, the 2007 Adrian Paul Holiday Project, has been underway behind-the-scenes for several months now and will be going public next month. As always, it will be open to all fans and we hope to see all those who have helped in the past as well as the newbies. Adrian DOES check out our cards, so we know you will want to be part of the fun this year too! To view past projects, CLICK HERE! 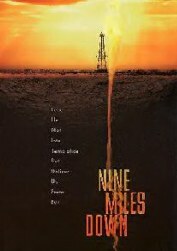 As originally reported in March 2007, word is that "Nine Miles Down" is once again a "GO!" Set in Australia, but set to film soon in Hungary, it looks like Nick Nolte might have bowed out! Anthony Waller's (director) credits include "Mute Witness" and "American Werewolf in Paris." 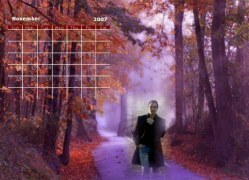 Get your FREE November Calendar!!! The winner this month was Linda A...and it's gorgeous! 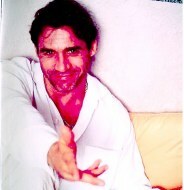 New "Ask Adrian" questions & answers have just been posted on the official Adrian Paul site. Check out our list of HLWW8 pics by the fans!! More coming soon. The movie trailer for "Eyeborgs" is now up on YouTube....it's really exciting and looks like a very good movie!! Check it out! Also, check out our AA EYEBORGS page with pics from the firector, Richard Clabaugh, and screencaps from the trailer. 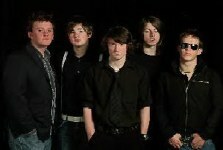 Check out the video so kindly found, put online and shared by Stephy. "Captain Drake," filming in Bulgaria, will be a tale of desperate quests by Sir Francis Drake (called the Queen's Pirate) to discover foreign lands in 1592. 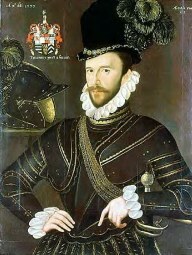 Having just ended a battle with the Spanish Armada, Drake sets off to the West Indies. Another new movie role for Adrian!! and navigator, and the first Englishman to circumnavigate the globe. Your gracious donations helped us meet our goal of 50 Huggy Bears. We're off to deliver them to the police department next week. Your help is so appreciated!! Pic courtesy of our "Honorary Angel" Matthew MacLeod who has a ton more, plus a report to share. reports and pics taken at the Con. A couple of great interviews with "Wraiths of Roanoke" writer/producer Rafael Jordan. Don't forget to watch "Wraiths of Roanoke" on Ootober 13th and 18th on theSciFi Channel.!! Each month we hold a contest among our talented members, and the winners all get a fun prize! Dr. B was the winner this month!! 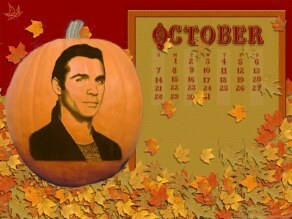 To get your FREE full-sized calendar head to our Contest Page. Last year's effort was such a success, that Adrian's PEACE Fund is doing it again. October 19th is approaching fast, so get busy!! fun for a good cause. CANCELLED!!! Due to other engagements, Adrian will NOT be attending! Adrian has announced that he will be in attendance, along with Tracy Scoggins. This is one of those "once-in-a-lifetime" opportunities.....so if you are nearby, better make plans to go! Click on the pic at left to get info! 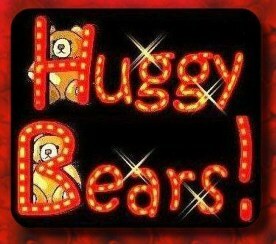 Adrian's Angels is asking for your help once again in supporting our Huggy Bears campaign. Following our hearts and trying to make a difference, we want to promote Adrian's philosophies and PEACE. Huggy Bears was designed to provide stuffed bears as a comfort to children in need. Sometimes when you donate monies..you never know where the money actually goes. Take a look at the pics from our last campaign where we donated 50 Huggy Bears to the very poor and tiny Isleta Indian Police Department, Isleta Pueblo, New Mexico. and in shock that anyone cared. WE do care...and hope you will too! 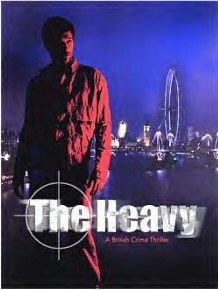 There's a new trailer for "The Heavy" up on YouTube, so go take a look. Looks good and great cast! 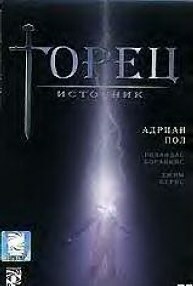 "Highlander: The Source" on SciFi in September! Effective September 1st, 2007 we are saddened to announce that Celebrity Merchandise is no longer associated with Adrian. "We've appreciated having Mr Paul as a wonderful client for many years and wish him much success and happiness in his future. 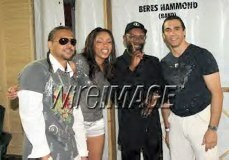 Thank you to all the loyal Fans that have participated in his Fan Club for so many years with us. Sincerely"
We have no idea what this will mean for fans attempting to buy old PEACE issues or other merchandise, but you can always check out PEACE for some cool stuff including: T-shirts, bags, candles and more. Be sure and get your FREE September Calendar!! Donnie was the winner this month!! Finally!!! We got another fantastic "BUZZ" issue from Highlander Worldwide. Issue # 23 is up & ready!! Articles by: Judes, MacGeorge, Lynda Dennis, Pat Talley (who entertains with her story of seeing Adrian on stage in "Things Just Change,") Tam Smith, Nancye Elliot, Debra Ogier. and Carmel Macpherson. AND......we get pics of Adrian on stage!!!! This is a wonderful way to pass some time!!! 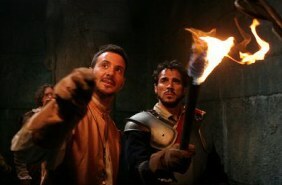 SciFi Channel will also be airing "The Wraiths of Roanoke"
Stay "tuned" here for more info!! 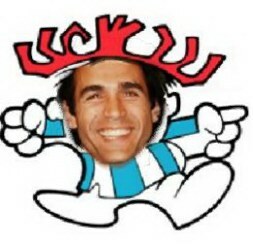 "The Source" may result in an interview w/Adrian. You can also send them a note and tell them you want more Adrian & and interview!! You can click on the pic and head to SciFi Channel.com to see scheduling. The Final Line-Up for HLWW8 in Vancouver, BC has been announced by Highlander Worldwide. There might be tickets still available!! This ought to be a great Con and here is your chance to see them! (or other goodies!) here is the place! to air Sept 15th and 20th. Our FREE August Calendar is now available for your pleasure. What a way to cool off on a "hot" day!! Whew! but this is much better!! 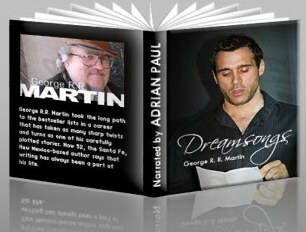 an audio version and is to be narrated by Adrian. 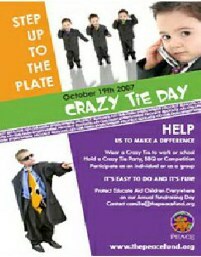 Gear up for the 2nd annual Crazy Tie Day, a fundraising event for PEACE. Set for October 19th, there is plenty of time to get ready and get involved. October 19th...so get busy now!!! If you missed it on HERE! TV, then now is your one and only chance to get it for FREE! Just fill in the blanks and they'll ship you a copy. page for "Tides of War." Thanks to Richard Clabaugh, Director of "Eyeborgs" for sharing this new picture of Adrian during filming. 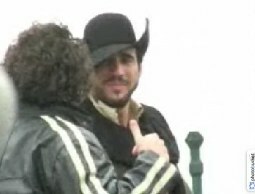 "The filming went well and Adrian was, as always, a joy to work with. He did a fantastic job and I really hope this film will be as great as we all hope it will be. 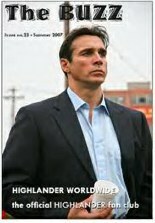 Certainly Adrian and all of us worked hard to make his character real, believable, sympathetic, proactive and dynamic. Adrian is a consummate professional and very detail oriented. His desire, shared by us all, to make this an exceptional story, was well appreciated. The story is meant to work on several levels. On the surface it's a basic SciFi action film dealing with killer robots. (We liken it to "The Terminator" meets "24"). 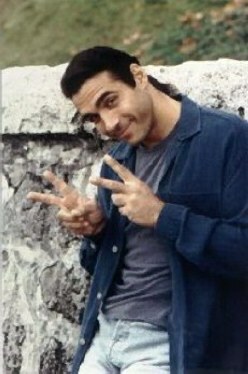 Of course, no one does action like Adrian Paul! His action scenes (and there are many) are amazing. The film has some "horror film" elements we hope will help sell the movie, but it's also a serious drama with a story we hope will surprise people. 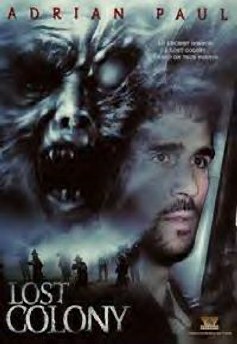 Adrian plays a complex character who has to undergo some changes in what he believes is right during the course of events. He has some great and heartfelt scenes as a performer and carries them off amazingly." President's punk rocker nephew join together to try and stop the Eyeborgs. Adrian has looked through the Birthday Project and passed on his reaction. "Please tell them I read ALL the messages and I am so surprised at the amount of messages and well wishes especially from so many different parts of the world. My favorite quote: "Life starts the minute we see the sunrise and ends when we cease to enjoy it." To change his life..all he had to do was sacrifice it. Adrianpaul.net announces that Adrian will be taking a role in a new thriller produced by Parkland Pictures filming in the UK. For synopses info <<click here! will also star these fine actors. "The Last Sin Eater" starring Peter Wingfield is screening on May 16th. Pics as we get them! Adrian was in attendance on Day 2 at the Caribbean Festival which also featured such big name stars as: Elton John, Diana Ross, Mary J Blige, LL Cool J. Al Green & Earth, Wind & Fire to name a few. Support some of our Angels, Carole Parker and Lucy McGill, who participating in the Milton Keynes Race for Life on June 2, 2007 which is raising money for Cancer Research in the United Kingdom. Please take a moment to sponsor them as they run in honor of those we've lost. You may donate or sponsor them here. The Adrian Paul Fanzone has a new logo! Be sure and check out Fanzone for new Adrian fun. Congrats to Corky Lynch! "To My Angels" Adrian writes on our group pic. Read the reports, see the pics from Grand Slam XV Convention! and we want YOU to join us! This is for fans around the world. No matter where you are, you too can join in! 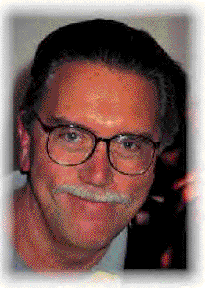 Bill Panzer, Producer of Highlander, passes away! man has ceased to walk this Earth. sympathies to Mr Panzer's family. According to Seven Arts Pictures' web site, the delayed production of "Nine Miles Down" is once again a "GO"! Award winner (2 times) Nick Nolte, and Australian actress Melissa George. For more info on these two actors, we found MovieFone had great pics and Bios. 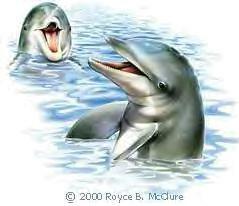 Who would intentionally hurt them??? Read about it, see it and do something about it! Watch the video, if you dare (warning, it's very violent!!) and then go sign the petition to help. There is a renegade Highlander: The Source DVD making the rounds of, but according to Panzer/Davis, this is NOT the final cut. Please read the memo from them on our HL:Source page! OK! Magazine on February 28th. 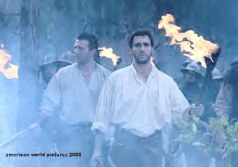 You can check out some new pics from "The Lost Colony," due to air on the SciFi Channel later this year, at Infinity's End Production site. Be a PEACE Fund "Shop For A Cause Day" Volunteer by selling Macy's "Shop For A Cause Day" tickets for $5.00, which entitles the person to take $10.00 off a single $20 purchase and a shopping pass for March 17th. Please e-mail the event information to everyone you know....friends, family, co-workers, etc. Calendar winner has been found! Get your own full-size version by clicking on the pic above to head to our Contest Page. The Auction was a HUGE success! Thank you to all who bid..congrats to those who won and bless you to the many who supported us in this endeavor. We'll be sending a check to PEACE in the near future!! You've sponsored 31 bears to date (Feb 18) and only 19 more to go to hit the 50 mark. Please help us help children in their time of need. Adrian, Ewan MacGregor, Charley Boorman and other musicians around the world have just announced they'll be supporting and taking part in..."BIG IDEA, small world." "The experience, raising the profile of Scottish music, raising funds for Charity…The Rainbow Trust, Peace, and the Scottish International Relief also a musical crusade, at each special charity children's site that we will visit in the UK, Europe, Romania, Russia etc we will not only play for the children but will educate them and give them the chance to try out various musical instruments and then the music company Fender will leave musical instruments at the sites so the children can continue their exciting trip into the world of music!" 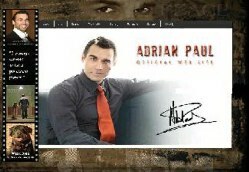 The NEW Adrian Paul Web Site is open!! "This site will be the most comprehensive site there has ever been on my career." 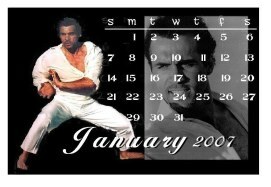 The new, improved Official Adrian Paul web site is now up and ready to share with the fans! Be sure and check it out....videos, interviews and lots to keep you busy! 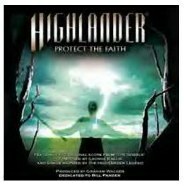 Any version of Highlander: The Source that is currently available is not the final producer's version of the film. Peter Davis and Bill Panzer of Davis/Panzer Productions, the producers, in conjunction with Lionsgate Entertainment, are presently editing and remixing the film. This final cut will be delivered to Lionsgate on or about March 15, 2007. Lionsgate will be releasing the film in September, 2007." The second DVD from HLWW6, held in Sydney, May 2005. 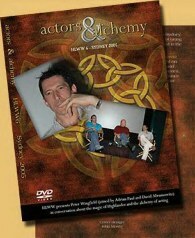 The DVD covers the Saturday morning session of the convention. Sell Macy's Shop For A Cause Day Tickets for $5.00, which entitles the person to take $10.00 off a single $20 purchase and a 15%/20% shopping pass for March 17th. The PEACE Fund also needs volunteers to spread the word Shop For A Cause Fundraiser! More than just a pretty face..
Adrian was able to see the situation first hand while filming Highlander:EndGame in 1999 and never forgot what he experienced. He has been waiting until the time arrived when he was able to help and try to make a difference in the lives of at least a few of these children. That time has now arrived. It's been estimated that there are over 6,000 children are living on the streets; that every 5th Romanian child is exploited: some 900,000 of the approximately 5 million children of Romania are forced to work. Please visit Adrian's The Peace Fund web site for more info on how you too can help! The Adrian's Angels 1st online Auction is now closed. Links have been removed. Thank you!! The Adrian's Angels Online Auction is LIVE!!!!! Please help us support the children! 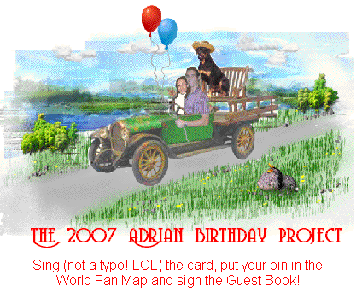 The 2006 Adrian Project was a blazing success! Check back here for more info on the upcoming 2007 event we have planned! their first support Auction, February 11 -17th, the week of Valentine's Day. Celtic items at great prices. PASADENA, CA. January 12, 2007 - SCI FI's Saturday night movies get an extra shot of adrenaline in January 2007 when the Channel launches SCI FI Saturday: The Most Dangerous Night of Television, an entertaining new branding campaign. The Most Dangerous Night of Television enlivens SCI FI's popular 9pm Saturday movies with an amusing take on the wild action and intensity that has become a staple of the Channel's date night thrillers. In revenge, patience is a virtue. but deserve the praise anyway! SS..I could NOT do this without you! TV Distribution HoldingsLLC and a copyright of Universal Television Enterprises LLLP. Licensed by Universal Studios Licensing LLLP. All Rights Reserved.